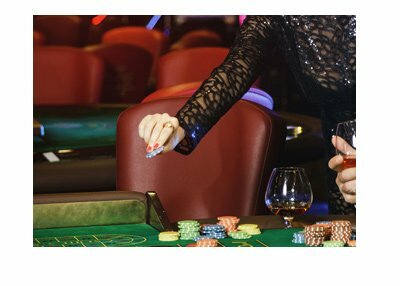 If you are playing roulette in either a live casino setting or online with a "live" dealer, you will need to consider what the proper etiquette is for tipping. (obviously you don't need to worry about tipping if you are playing in a standard online roulette game where there is just a computerized dealer). The first thing to consider - the levels that you are playing at. If you are wagering $1 per spin, you obviously won't want to be tipping $5 when you win, or else you are going to run out of money fairly quickly. The size of your win is obviously going to be very important. For instance, if you bet $5 on red and it hits, you might want to consider tipping every 4-5 wins. If you tip every time that you win, you are going to run out of money very quickly. If you bet say, $100 on red and you win, there is nothing wrong with sending a few dollars to the dealer. When the dealer pushes you your money, simply taking a couple of chips (however much you are comfortable with giving) and place them on the table close to the dealer and outside of the roulette board. This will let the dealer know that the money is intended for them and isn't a bet on the next hand. My advice - tip liberally when you scoop a bigger pot that sees you get a 5-10x+ return on your wager. Tip every 4-5 wins if you are betting on outcomes where there is an even money return. Also - calculate tips into your expected outcome for the night. Tips make for a cheerier atmosphere whether you are playing at a brick-and-mortar casino or online using a live dealer. You will certainly not be forced to tip, though it is considered to be good etiquette. Roulette is a very social game and a liberal tipper is going to be the life of the table.